Saskatoon’s Close Talker is a group to keep an eye on. 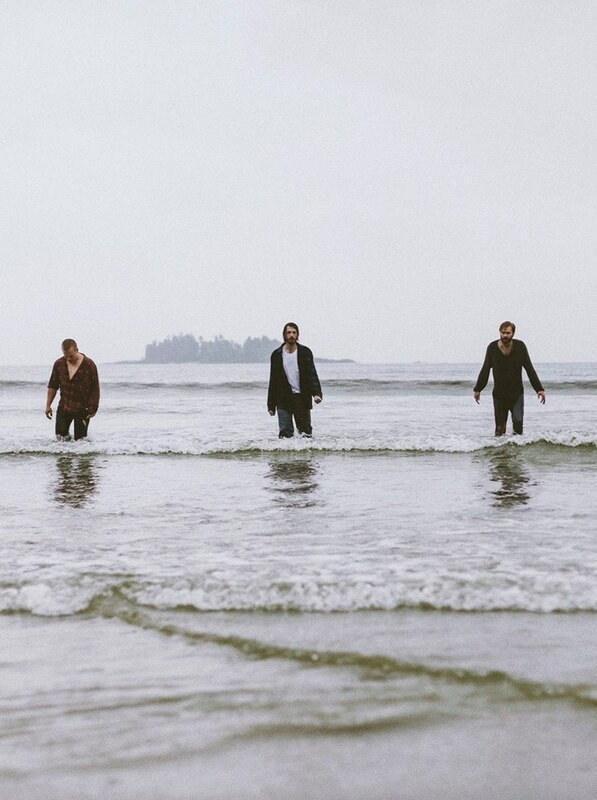 Comprised of Will Quiring, Matthew Kopperud, and Christopher Morien, the band is known for their pulsating and emotional indie rock music, which strikes something deep within their listener. The band’s newest single “Half Past Nine”, is a new and fresh-faceted release that stays true to the group’s message of captivation and presence. Carly recently had the chance to interview the guys about the tour, recording, and more! HEM: It’s nice to meet you guys! By the time you get this, you’ll be at SXSW. Are there any bands or artists that you’re dying to see perform? CT: Kirin J Callinan -- he is wild. I really don’t know how to describe it, but if you ever get the chance to see him, do it. It is primarily performance art/karaoke vibes, but he is pure entertainment. In my opinion, he wins SXSW every time he comes. On a very different note, I am excited to see Bad Bad Hats, The Beths, and Gold Connections. Because of where we’re from in Canada, SXSW is a great chance to see bands that would likely never come to Canada, let alone our town, so I try and prioritize seeing some of the more unknown bands. HEM: One thing that I appreciate about Closer Talker is how firmly planted your music is in the present, and how it aims to evoke these feelings of beauty. Do you ever find it challenging trying to capture such elements into a song? Are there certain aspects that you tend to focus on when writing? HEM: When describing your sound, you’ve expressed that you don’t want listeners to feel a certain way. Is there anything that you do hope they take away from your music? CT: We definitely don’t want to bully the listener into our precise interpretation of the lyrics or our moods, but on the other hand, we do hope that a take away that can be shared by both the band and the listeners is this sense of pressing pause on life and just being. It sounds overly simple, but I think that communal element of music or the ability to enter a space where you can slow your mind and simply enjoy yourself is something that we chase as a band. Our hope is that the audience would join us. HEM: Congratulations on the upcoming record and single! Was recording any different from past records? Did you find yourselves with new trains of thought or sources of inspiration? CT: Yeah, we definitely approached this album differently and had a different headspace going in and throughout the whole process. We held it a lot closer to our chest and didn’t really seek out any outside opinions. We really trusted our guts and tried not to overthink things. It was cool to sort of celebrate the fact that we all really do assume the best in one another and there is a trust in place that has been formed over the past six years, which allows one of us to chase an idea without having to justify or explain yourself. HEM: Was there anything that particularly surprised you when recording? CT: One thing comes to mind. As good, red-blooded Canadian boys, we brought our hockey sticks and skates with us. We didn’t end up playing too much pond hockey while recording because it was super cold, and we were really busy and fixated on the record. We did play with some local friends in Regina, and I was genuinely surprised at how out of shape we all were. We were all huffing and puffing pretty good. Our engineer Robby Daze thought up the idea of 10 Commandments, and it was basically our guide throughout the entirety of recording the album. HEM: I’ve also heard that you guys put on some very emotional and memorable concerts. What can audiences expect from your live shows? Do you have a favorite part about performing live? CT: One of our favourite parts about performing live is the fact that complete strangers can experience and share something. There is something universal about music that is really special and hard to put your finger on it. So whatever that “thing” is… that is our favourite. The indescribable part. When we play, we really lean into this feeling and try to marinate in it. I think when shows become really special is when the audience really joins in and decides to press pause on life with us as a band. Just escape reality for a bit. HEM: What is the music scene like in Saskatoon, or in Canada in general? Do you feel that it has influenced your style in any way? CT: There is a really great commorodary in Saskatoon and the arts scene here. There isn’t a sense of competitiveness that you can sometimes feel in bigger city centres. Everyone celebrates everyone’s achievements, which is nice. I am not sure if it has influenced us sonically too to much. In fact, we’ve heard the opposite from some people, that we don’t sound Canadian… whatever that means. In short, the music scene in Canada rules, and it is small. Everyone knows everyone and it has a coziness about it, which is nice. HEM: Do you have a favorite city or venue to play in America? CT: Hmm. That is a great question. We had a really memorable show in Eau Claire once that was actually in the live-room of a recording studio on a guy’s ranch. We weren’t sure how the turn out was going to be, but there were a bunch of people who came and rode their bikes. Before the show we were playing baseball, and there were goats and chickens. It was like house concert vibes, meets a studio session, meets a petting zoo. It should have been weird, but it was amazing and really memorable. Eau Claire has similar vibes to where we’re from, so I think we tapped into that. HEM: 2019 is expected to be a big year for Close Talker. Aside from the new record, is there anything that you’re especially looking forward to as a band? CT: There is a top secret project that we’ve been working on for over a year. I can’t quite share details, but I can say that it will be a live show that is the first of its kind. It should be really immersive and special. Another thing that we’re excited about is making music videos. It is so much fun and a different creative outlet for us to take part in. We’re really excited for lots of things, but releasing the record certainly takes the cake. We’re excited. HEM: Lastly, is there anything else you would like us to know? CT: Thanks for featuring us. Appreciate it.